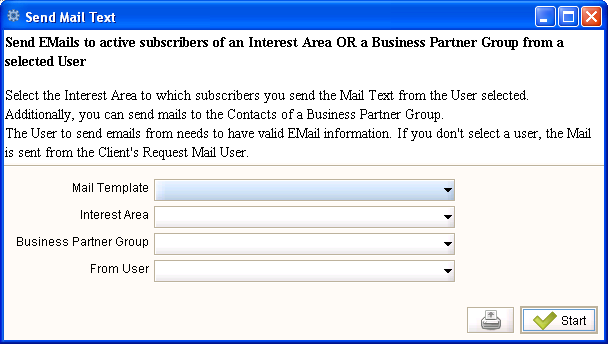 Help : Select the Interest Area to which subscribers you send the Mail Text from the User selected. Additionally, you can send mails to the Contacts of a Business Partner Group. The User to send emails from needs to have valid EMail information. If you don't select a user, the Mail is sent from the Client's Request Mail User.